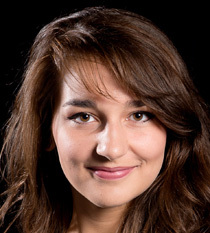 Fellow of the Jeunesses Musicales du Canada, pianist Élisabeth Pion (b.1996) is currently studying in the Artist Masters - Performance degree at the Guildhall School of Music & Drama in London, with Professor Ronan O’Hora, as a full scholarship recipient of this institution. 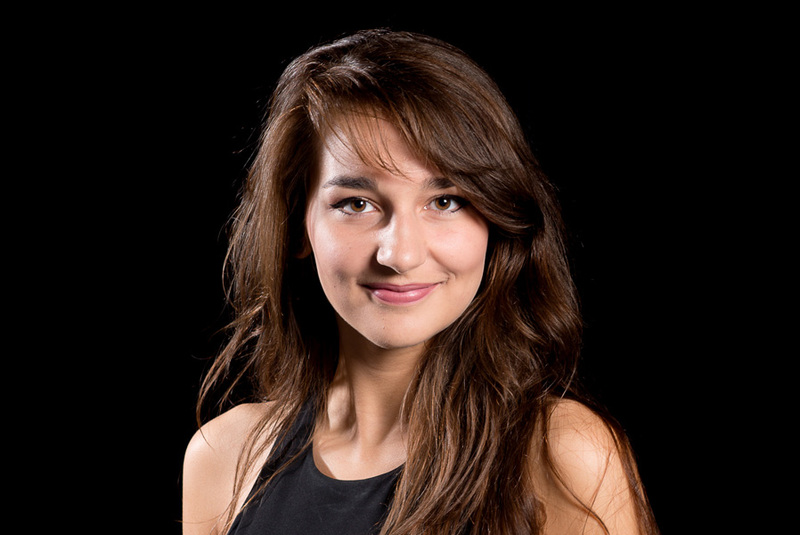 She holds a Bachelor degree as well as an Artist Diploma from the Conservatoire de musique de Montréal, where she studied with Suzanne Goyette and André Laplante, and graduated at the unanimity of the jury with the highest mention, “Great Distinction”. 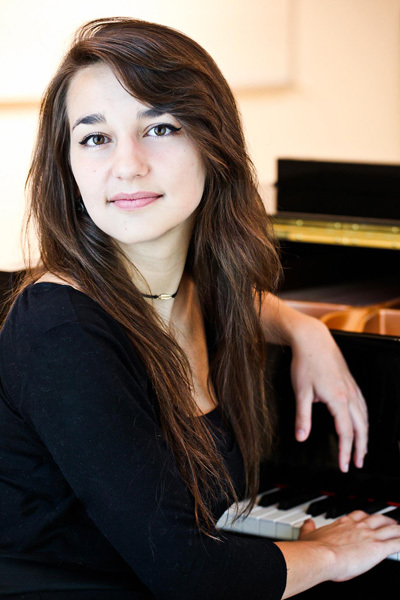 Élisabeth has notably won the 1st prize of the Thousand Islands International Piano Competition (2014), the 1st prize of the Concours de musique québécoise (2014), the 1st prize of the FestivalConcours de Lanaudière concerto section (2015), the Grand Prize of the Concours du Choeur de la Montagne (2015), the SSQ Grant and 1st prize of the Concours de musique de la Capitale (2016), the Grand Prize of the Classival Competition (2016), the Concerto Competition of the Conservatoire de musique de Montréal (2017), the 2nd Grand Prize of the Festival-Concours de musique de Sherbrooke (2017), the Banque Nationale Award at the Prix d'Europe (2018) and the 1st Prize of the Shean Piano Competition (2018). She has taken part in many festivals: in Canada, the Festival International du Domaine Forget, Orford Music and the Lunenburg Academy of Music Performance; in the United States, the Adamant School of Music and the Brevard Music Center. Following her performances at the Adamant School of Music, she received an invitation to perform in Carnegie Hall Weill Recital Hall in 2015. 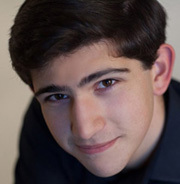 In Europe, she has studied at the International Piano Academy Pianale, the Malta International Music Festival and the International Holland Music Sessions. Élisabeth has notably worked in masterclasses with Till Fellner, Benedetto Lupo, Nikolai Lugansky, Stephen Hough, Joaquin Soriano, Yoheved Kaplinsky, Boris Berman, Bernard d’Ascoli, Bernd Goetske, Claudio Martinez Mehner, Pavel Gililov, Akiko Ebi and Robert Levin. She is also a versatile artist: in 2008, at age twelve, she doubled the hands of actress Isabelle Furhman in the movie “The Orphan”. In 2014, she was selected for the campaign MPInspiration by TV chain MusiquePlus, which featured eight young Canadian women who were leading figures in their milieu. In 2015, she collaborated with the Sanchez Brothers for an artistic photo project called “The Lesson”. In 2016, she was part of the project “Goldberg Experienced” at the Musée d'Art Contemporain de Montréal with visual artist Patrick Bernatchez, and started her collaboration with the Société pour les arts en milieu de santé, an organism which offers concerts in institutions for people who require assisted living. In 2017, Élisabeth was awarded the Lieutenant-Governor’s Medal for the Youth, acknowledging her involvement in the musical field. In 2018, she was part of a production from “Le Théâtre Indépendant” company, “Quartett Solo”, which was presented by Zone Homa Festival, a platform for emerging artists in Montreal.